Celebrate the power of family, the strength of community and the resiliency of women at Fiesta of Hope! Enjoy a culturally rich feast, lively dancing and an exciting auction. 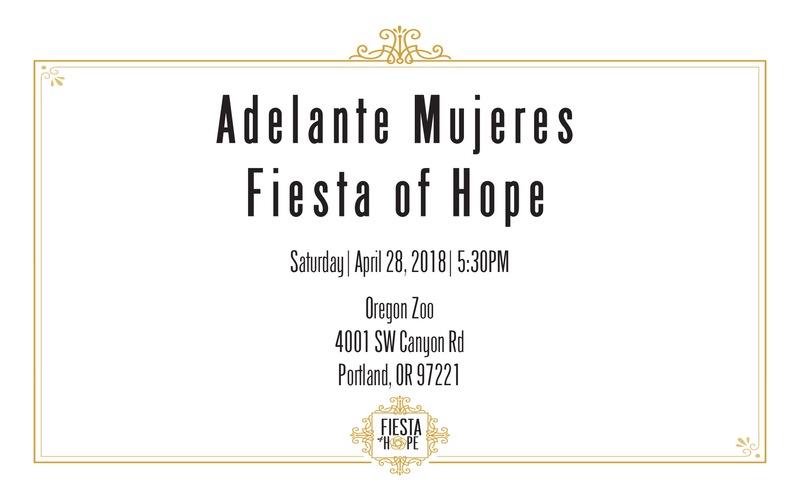 Fiesta of Hope is an opportunity to celebrate Latina women, their families and the entrepreneurial spirit that drives the Adelante Mujeres mission forward. Adelante Mujeres means “women rise up, move forward.” And to do that, we've provided holistic education and enterprise opportunities for low-income Latina women and their families in Washington County for more than 15 years. Our goal is to build a community in which all families thrive, and it is with this mission that we continue to evolve our services and increase opportunities for Latino families. With the Forest Grove Farmers Market, and other microenterprise and agriculture services, Adelante Mujeres is cultivating an innovative and entrepreneurial spirit to strengthen the community—for everyone.